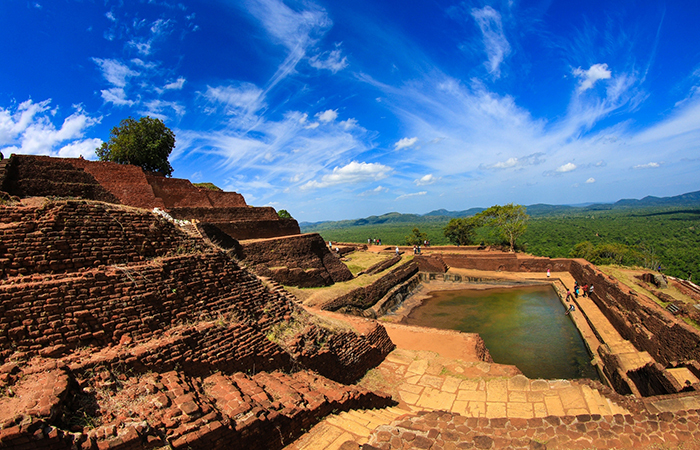 Sigiriya and Dambulla have been nominated as UNESCO WORLD HERITAGE SITES and once Sigiriya was nominated as the 8th Wonder of the World. 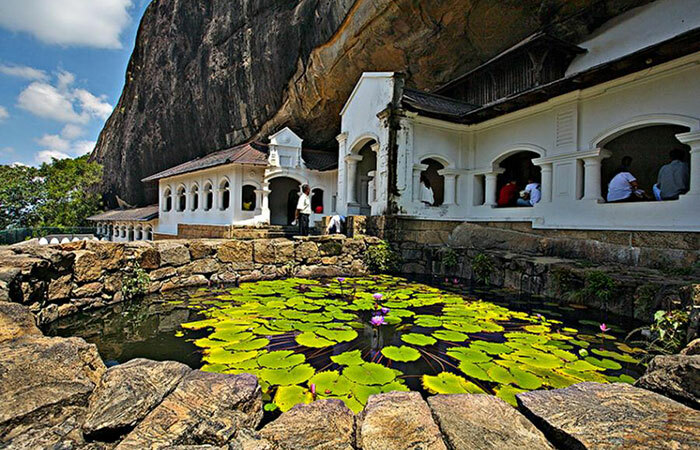 This is a MUST DO trip when holidaying in Sri Lanka. 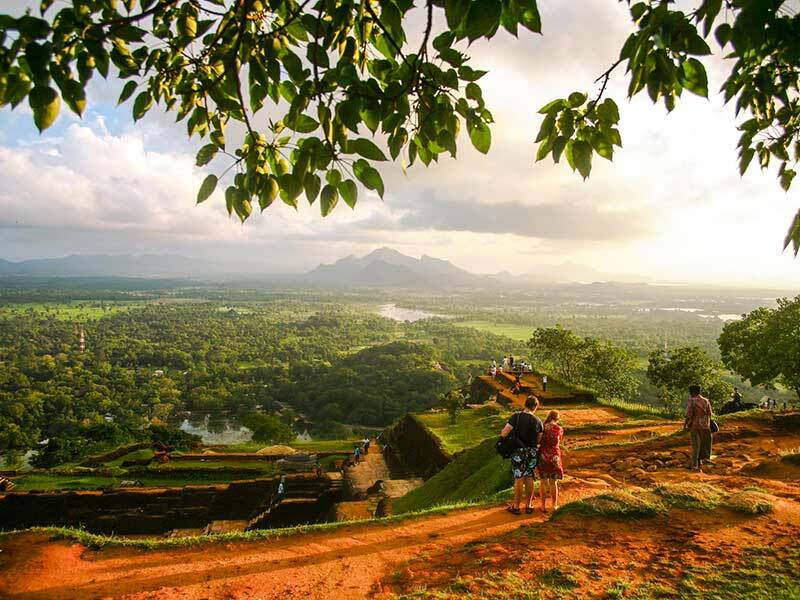 Trip starts at 6 am from Colombo and the drive to Dambulla will take 5 - 6 hours approximately. 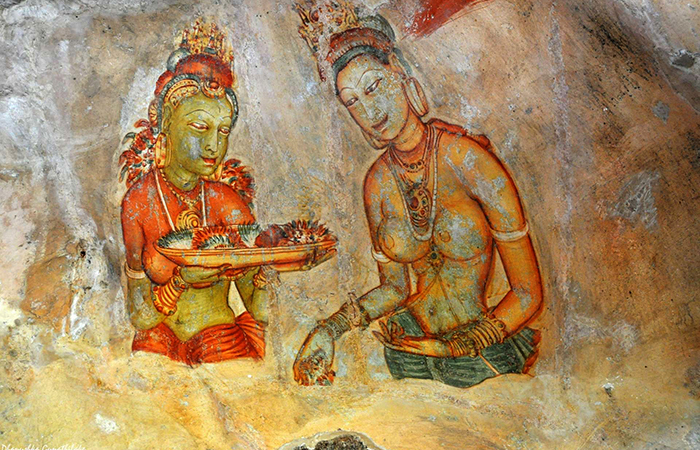 Once Dambullla Cave Temple is visited we suggest you have lunch at a recommended restaurant by our driver. 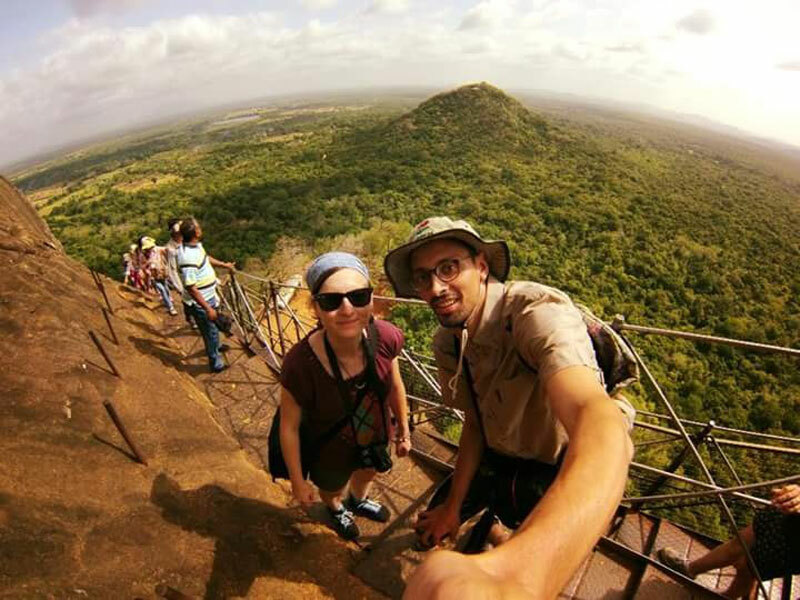 Then we will take you to a lake where you would be able to enjoy an Elephant back ride which is a highlight of this trip. 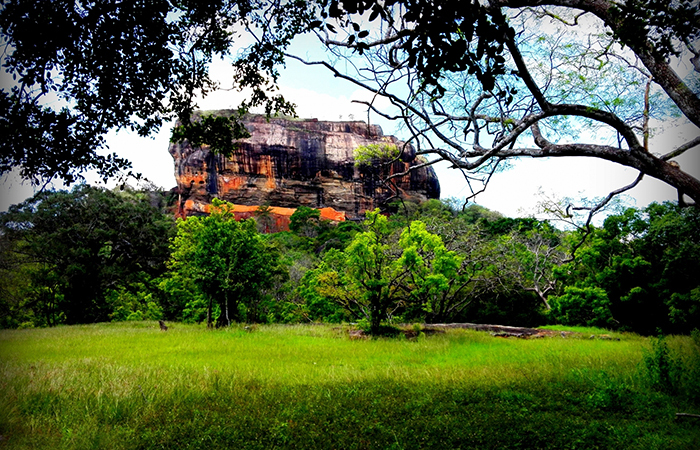 When the sun is not so harsh you can visit Sigiriya Rock Fortress and proceed to Colombo after wards. 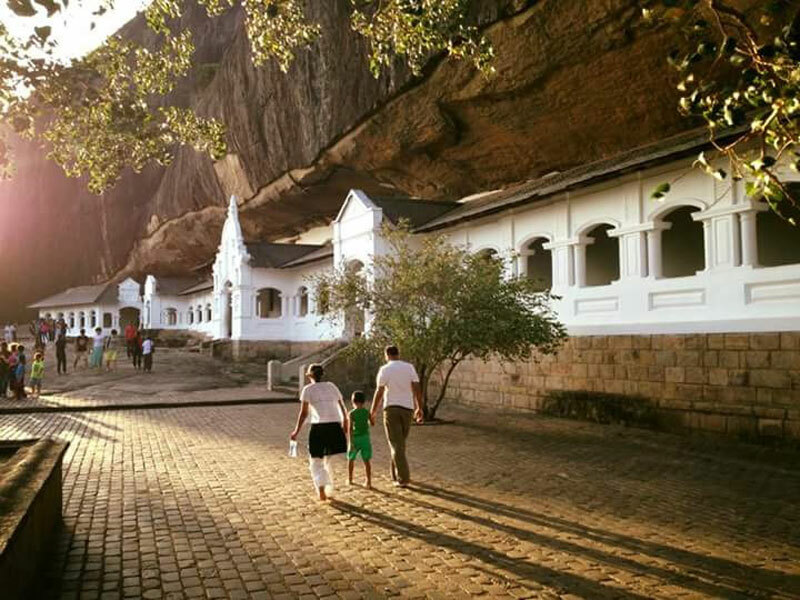 Visiting Dambulla Cave Temple during Dambulla-Sigiriya day tour – Dambulla is sited on a gigantic rock which towers more than 160m above the surrounding land. The Rock is more the 1.5km around its base and summit is at 550km. 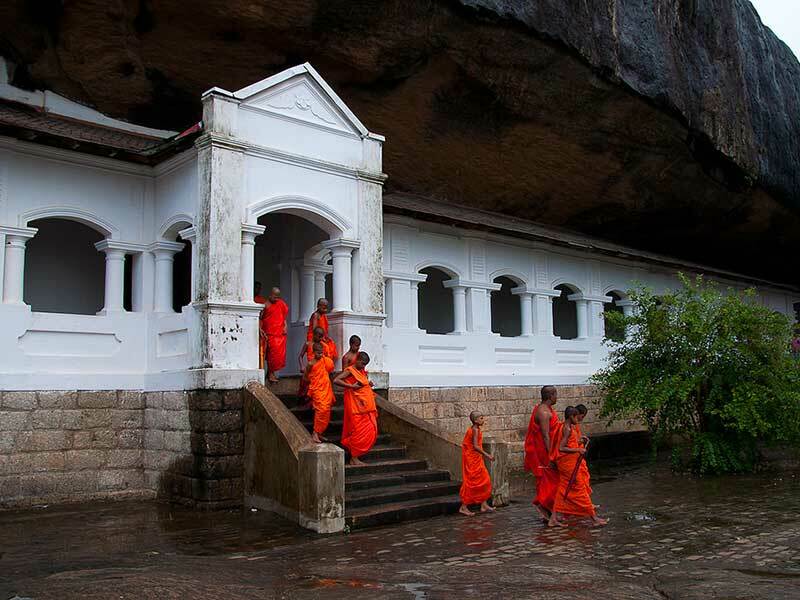 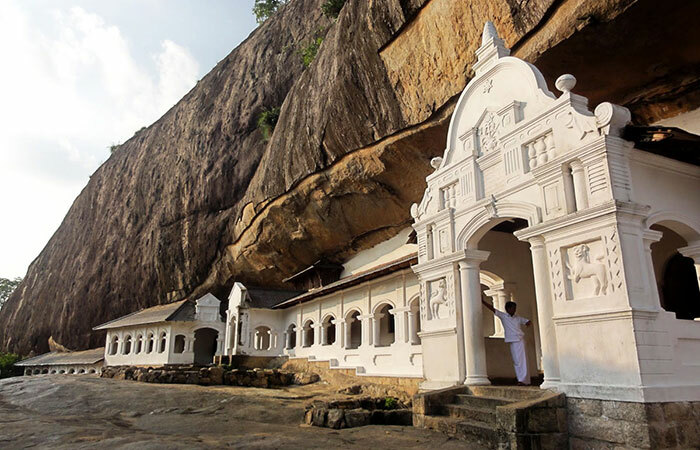 The caves were the refuge of King Walagamba (Vattagamini Abhaya) When he was exile for 14 years. 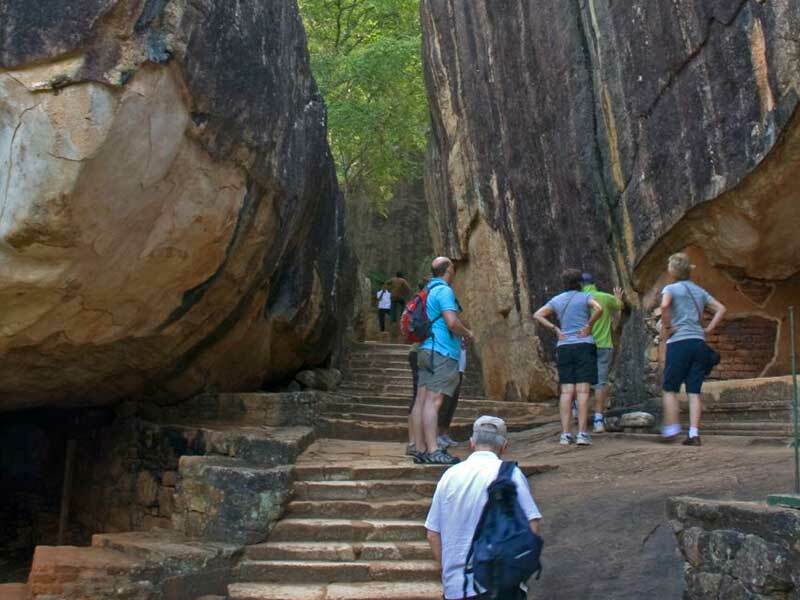 When he returns to the throne at Anuradapura in the 1st century BC, he had magnificent rock temple built at Dabulla. 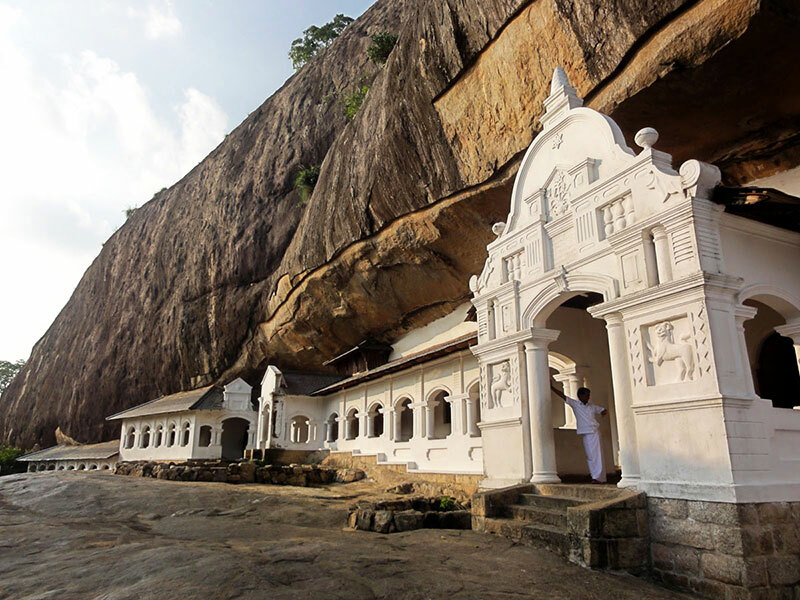 The site has being repaired and repainted several times in the 11th, 12th and 18th centuries. 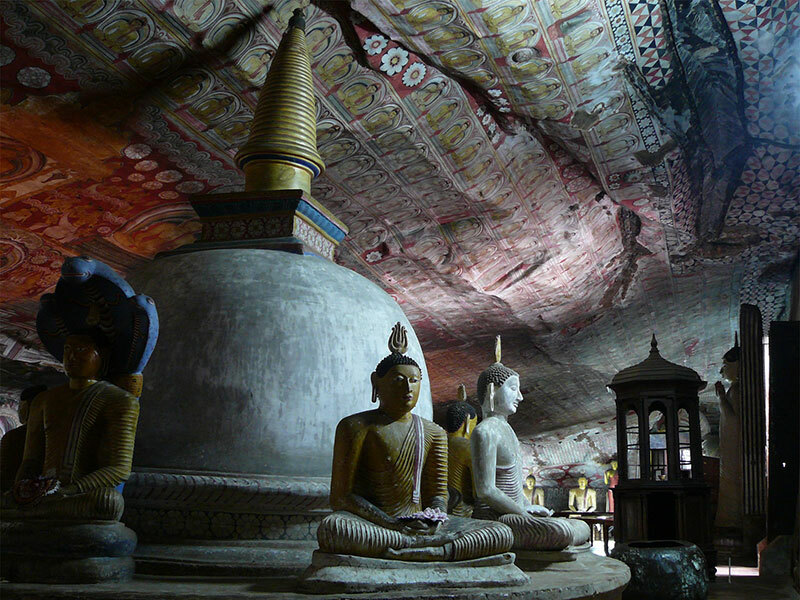 Dambulla was designated a World Heritage site in 1991. The caves has a mixture of religious and secular painting and sculpture. 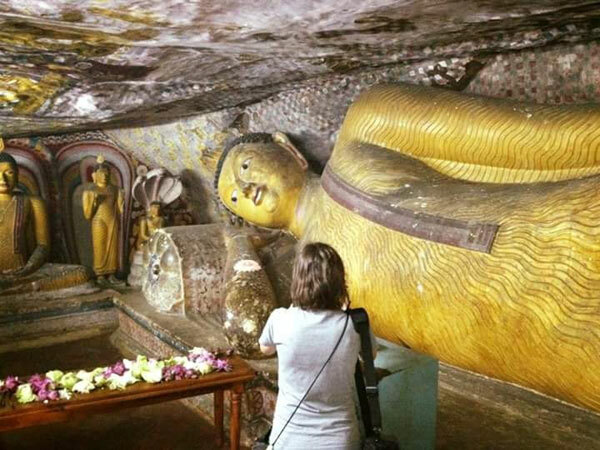 There are several reclining Buddha's, including the 15m long sculpture of the dying Buddha in Cave 1. the frescoes on the walls and ceiling from the 15th-18th centuries; the ceiling frescoes show scenes from the Buddha's life and Sinhalese history. 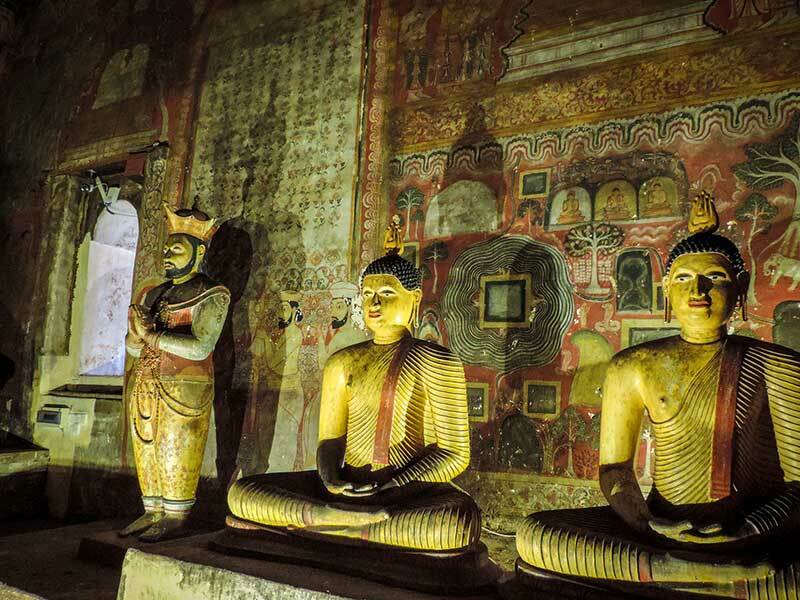 Cave 2 is the largest and most impressive, containing over 150 statues, illustrating the Mahayana influences on Buddhism at the time through introducing Hindu deities such a s Vishnu and Ganesh. 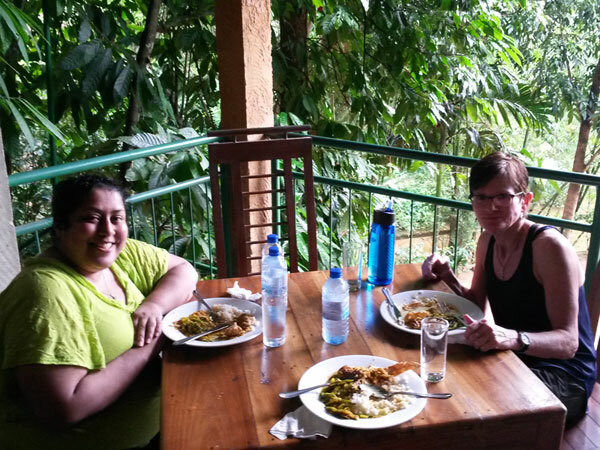 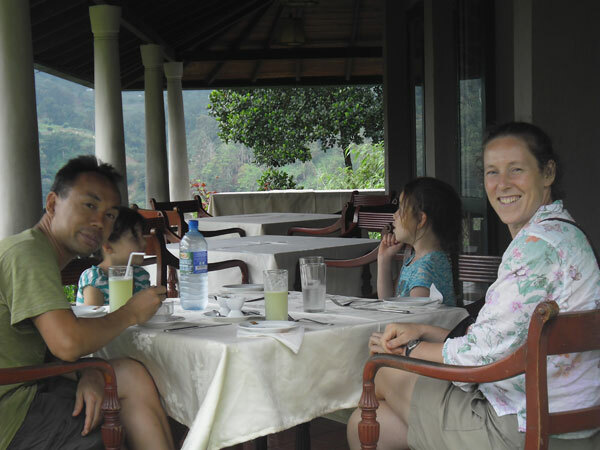 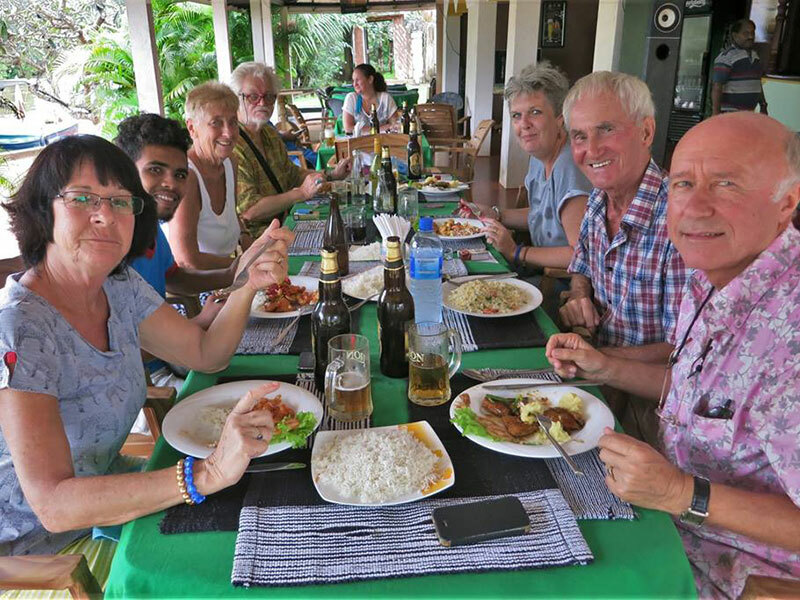 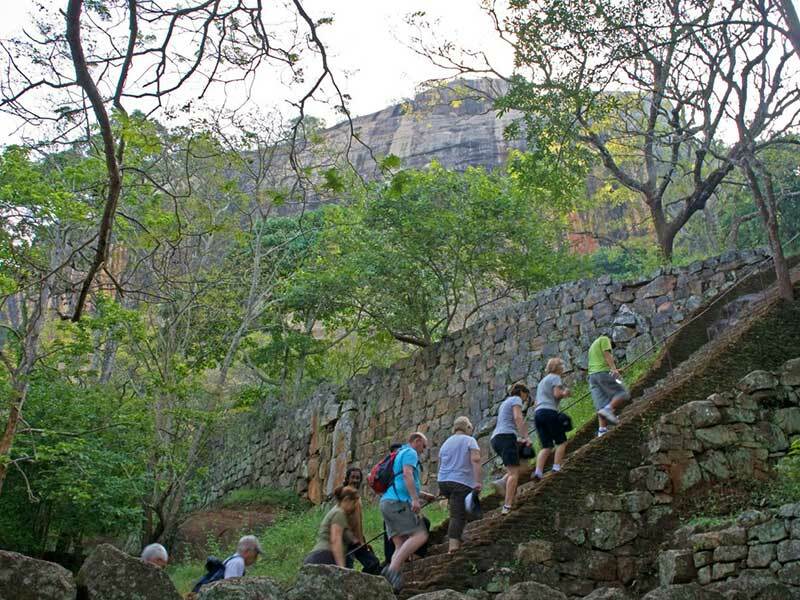 Visiting Sigiriya during Dambulla-Sigiriya day tour – The ancient city of SIGIRIYA is a premier eco tourism destination in Sri Lanka which was designated a cultural World Heritage Site in 1982. 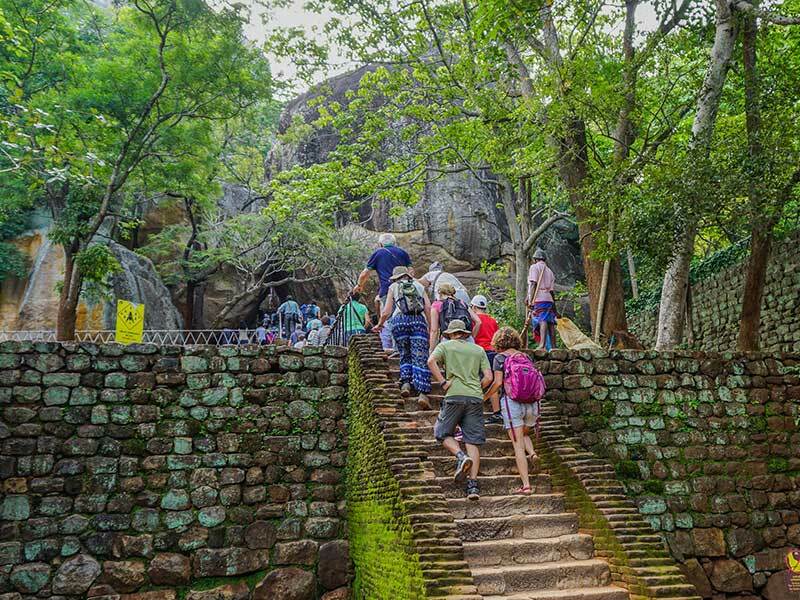 It is also proposed that the site should be named the eighth wonder of the world, indicating it is in the same league as other international wonders such as the Grand Canyon and Ancient Pyramids. 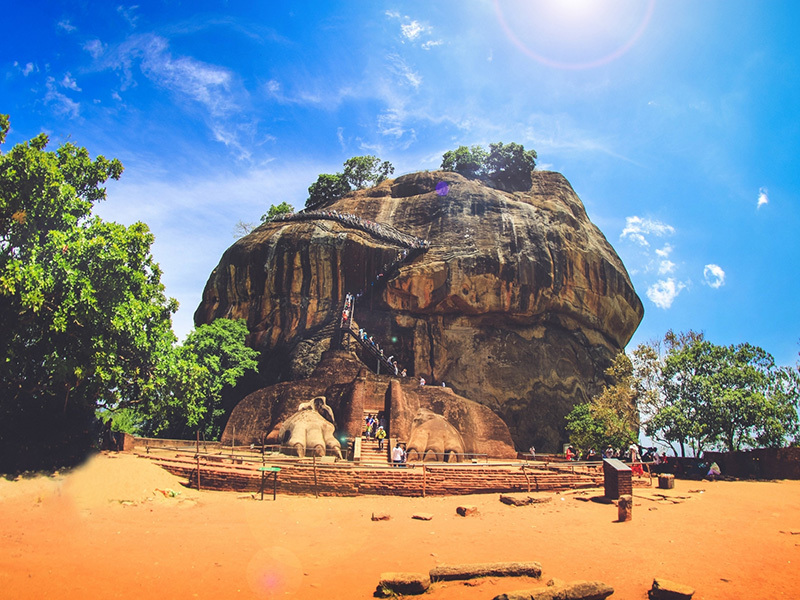 Translated as ‘Lion Rock' into English, the name of the monument indicates the way in which visitors used to begin their final ascent to the top – through the open jaws and throat (‘giriya') of a lion (‘sinha'). 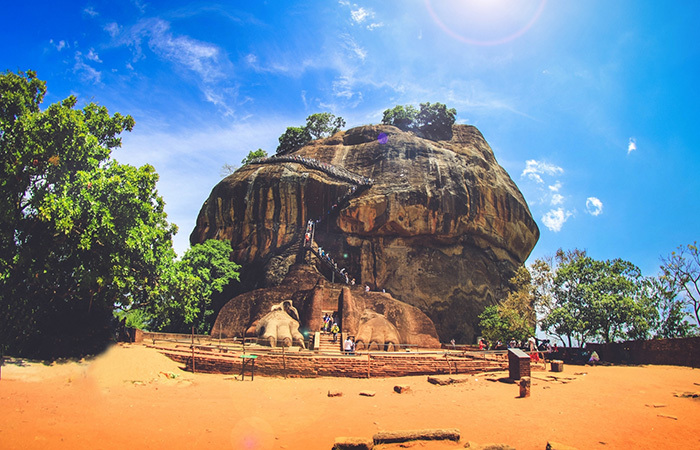 Unfortunately, the only remains of this lion figure are the gigantic paws, sculpted into the side of the rock. 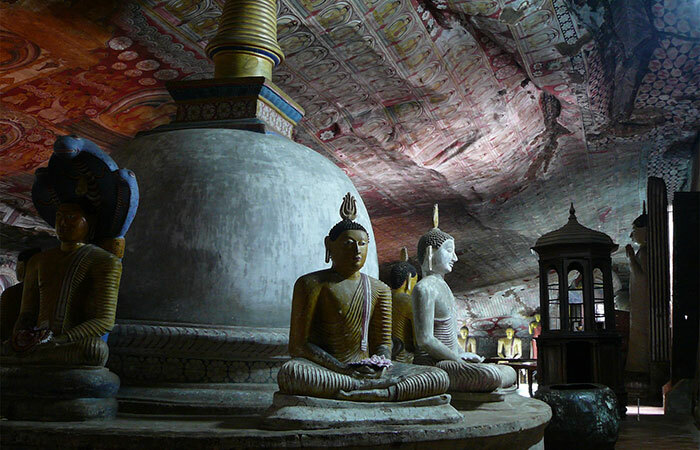 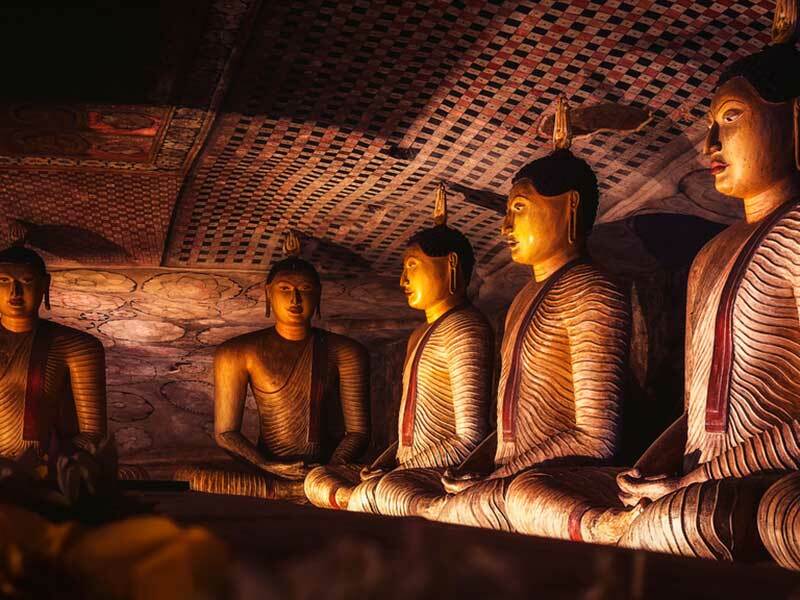 Visit Dambulla cave Temple, a UNESCO World Heritage site which Lord Buddha’s life is painted on the walls of the cave which is believed to be done during the 2nd century. 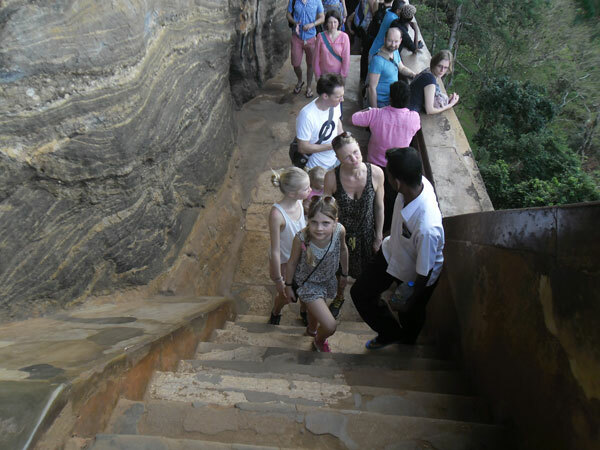 Visit Sigiriya Rock Fortress at 3.30 PM built by King Kashayapa as his palace during the 5 th Century, a UNESCO World Heritage site.